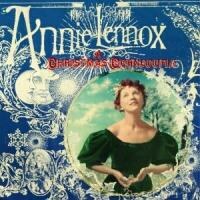 ‘Tis the season: an overwrought, though sometimes beautiful, holiday offering from Lennox. 2009’s crop of Christmas albums were a typically mixed bag, encompassing the good (Tori Amos’s Midwinter Graces, Sting’s underrated If on a Winter’s Night…), the bland (Neil Diamond’s A Cherry Cherry Christmas) and the plain ugly (Bob Dylan’s Christmas in the Heart). Although it has some significant problems (more of which anon), Annie Lennox’s A Christmas Cornucopia looks likely to be one of this year’s superior offerings. Reuniting Lennox with Mike Stevens, co-producer of her last studio album, 2007’s erratic Songs of Mass Destruction, the new album is Lennox’s first release on Universal. Featuring a 30-piece orchestra, the African Children’s Choir and Lennox herself on an arsenal of instruments, the album comprises eleven carols and one original composition with nary a reference to jingling bells or snowmen called Frosty among them. The results are lush and slick, classy but not over-cautious, and the album fits snugly into Lennox’s body of work. And yet, for all of its undoubted strengths, the record only intermittently stirs the soul. But while you can’t accuse Lennox of a lack of commitment to the material she’s selected here, there are times when a more restrained approach might have been beneficial. The album’s arrangements suffer from a tendency to over-adornment and sometimes push Lennox into a harsh, declamatory singing style that’s a little wearying. Some of these issues are flagged up immediately, in the opening salvo “Angels From the Realms of Glory", with its crescendo of strings and vocal overdubs, and even more so on the following track, a hybridised Celtic/Middle Eastern take on “God Rest Ye Merry Gentleman". The treatment is arresting, but the arrangement never completely gels, and Lennox’s unfortunately Auto-Tuned vocals sound robotic and off-putting. Several tracks start out well only to get swamped in over-elaborate arrangements: the biggest casualty is Christina Rossetti‘s gorgeous “In the Bleak Midwinter", which begins beautifully but then sabotages itself with an over-wrought middle-section that seems totally at odds with the delicacy of Rossetti’s imagery. Lennox and Stevens’s evident desire to remove the songs from a comfortable “easy listening” bracket is admirable, but you may find yourself wishing that they’d tone down the stridency a notch. This being said, the contributions of the African Children’s Choir are sometimes genuinely rousing, especially on an urgent and dramatic “Lullay Lullay (The Coventry Carol)” and in the exuberant choral coda to an intriguingly arranged “As Joseph Was a Walking (The Cherry Tree Carol)". Ultimately, though, A Christmas Cornucopia proves most affecting when at its sparest. “See Amid the Winter Snow” strikes just the right balance between stately and celebratory, with restrained verses giving way to soulful, high-spirited choruses. “O Little Town of Bethlehem” and “Silent Night” are similarly beautiful, warm and embracing, with Lennox's vocals given plenty of space. Maligned as a schmaltz-fest, the Lennox original (and first single) “Universal Child” sounds elegant and refreshing in context, with a memorable melody and Lennox’s most relaxed vocal performance. She sings with such intelligent conviction and feeling here that even the song’s clunkier, grammatically questionable lyrics (“And I wish to God that kids like you could be like everyone”) are transcended. Such moments make A Christmas Cornucopia a worthwhile effort. But it’s hard not to speculate just how much more consistently appealing the album would have been if Lennox had taken a subtler, lower-keyed approach to some of this material.